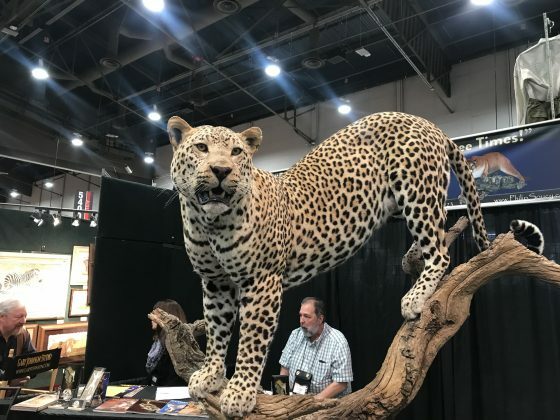 After walking into the Safari Club International Convention in Las Vegas, the feeling of shock and anxiety was overwhelming. 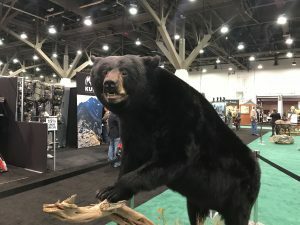 We didn’t know what to expect but had no idea the glorification of killing some of the most beautiful species on the planet would be this in-your-face. As we looked around at the massive crowd of 20,000 plus attendees, we couldn’t help but wonder if we were on a different planet and what the method to the madness was? 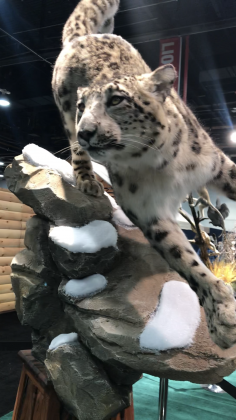 Some of what the world would consider the most endangered species on the planet that are listed as vulnerable species or on Appendix I of CITES, such as Snow Leopards, Elephants, Rhinos, and others like African Leopards, Polar Bears, Wolves, African Lions, and many other species that were killed and stuffed, others were said to be realistic replicas. 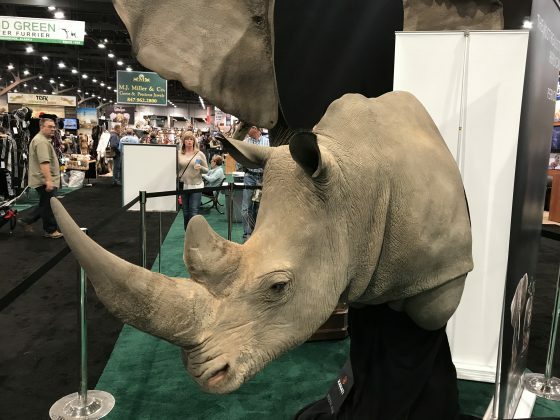 There seemed to be a common thread throughout the convention with many trophy hunters justifying their actions based on what they claim to be conservation, saying that if there wasn’t a value or price put on these animals, then there would be no incentive to protect them in the wild. But aren’t they killing them in the wild? That’s not protecting them. We see it much differently. Per a 2013 report by the World Tourism Organization, the money that Trophy Hunting brings into many of these struggling countries is minimal. Wildlife-eco-tourism generated an average of 34.2 billion in tourist spending in 2013. 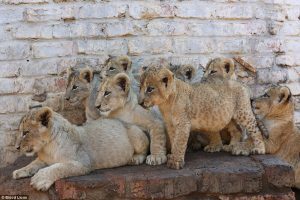 As per the report, in Zimbabwe, tourism accounted for 6.4% of the gross domestic product of the country, dwarfing the meager 0.2% that trophy hunters brought in overall from paying for everything from the permits to hunt the wild animals of their choice, to accommodations, to paying sometimes a big price tag for a hunt at a private game reserve. 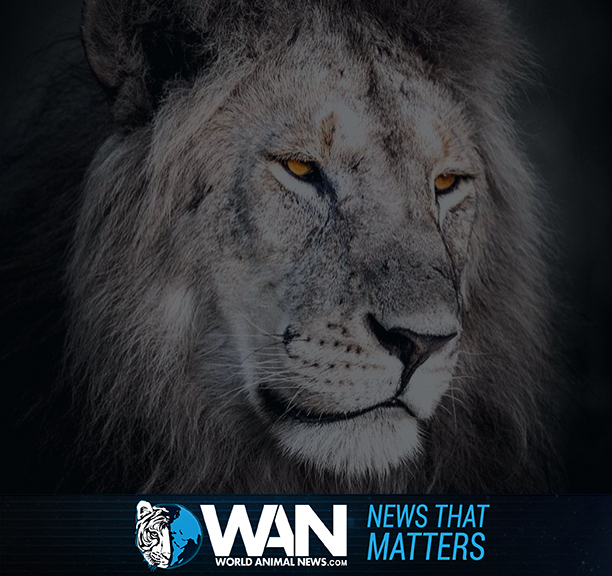 More recently, in 2017 Dr. Cameron K. Murray of Economists at Large Pty Ltd from Melbourne, Australia was the lead author of the report “The lion’s share? 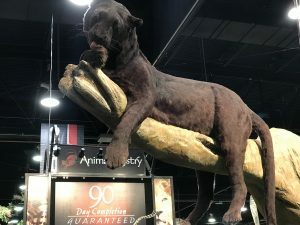 On the economic benefits of trophy hunting“. 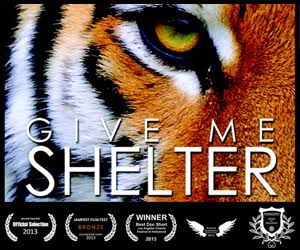 This report was commissioned by Humane Society International (HSI). 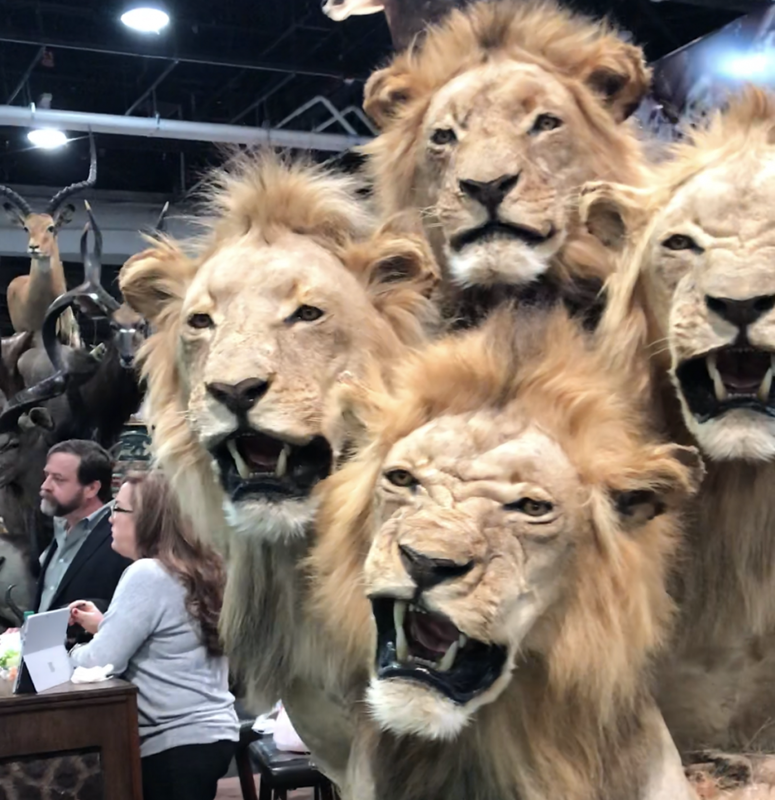 HSI hails the report with the article “New report reveals big game hunting makes a minimal contribution to African economies and jobs – Trophy hunters’ inflated claims debunked; trophy hunting ‘insignificant’ to the economy“. The report concludes that hunting brings in just 0.78 percent or less of the overall tourism spending and has only a marginal impact on employment in Botswana, Ethiopia, Mozambique, Namibia, South Africa, Tanzania, Zambia, and Zimbabwe, providing approximately 0.76 percent or less of overall tourism jobs. The total economic contribution is at most an estimated 0.03% of gross domestic product (GDP), the HSI report stated. 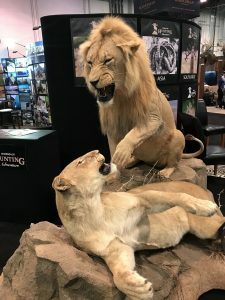 There seems to be no comparison that eco-tourism and photo safaris bring in more money to these struggling countries than that of trophy hunting. One question we continued to ask these trophy hunters was “isn’t there more value in life than death?” The question seemed to stump every person we asked. 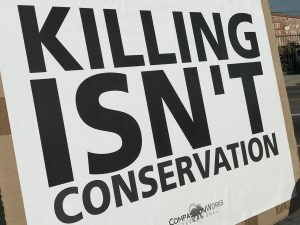 We also asked them if they liked animals and the majority said yes, that’s why we’re hunting them, to protect them.” Now we were the ones who were really stumped. Among the many challenging moments at the convention was meeting a young woman who was selling leggings with images of animals printed onthem. 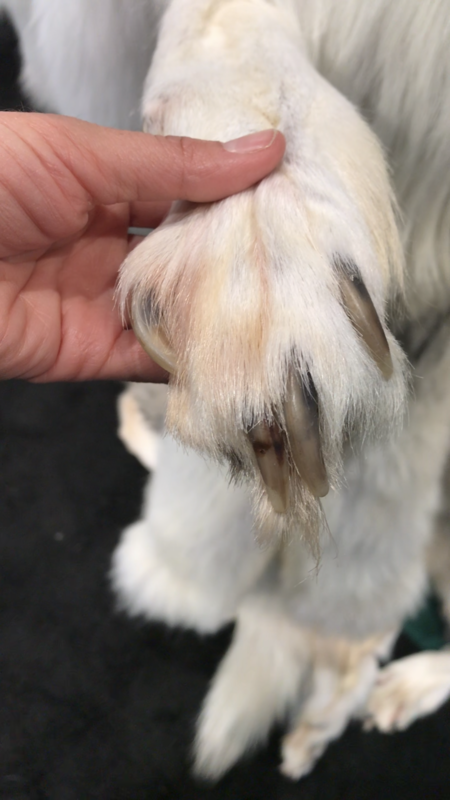 We asked about the pair that featured wolves on it. When we inquired about them, she proceeded to tell us that she is a professional huntress and that the images on the leggings were from a photo of a wolf that she killed. She eagerly showed us on her phone posing with her trophy-turned-legging-inspiration. When we asked if she had ever interacted with a wolf before or considered rescuing and rehabilitating them, she became perplexed. We told her that we help rescue and rehab wild and domestic animals, and that she should consider trying it to make a connection with wolves. 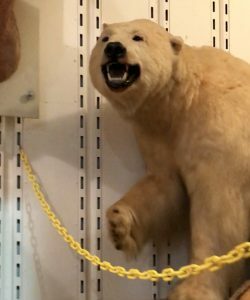 It seemed that a light went off, that she had never been presented with the idea of helping one of the animals that she was use to hunting before. We hope that a seed was planted and that she will think twice before hunting another wolf next time. 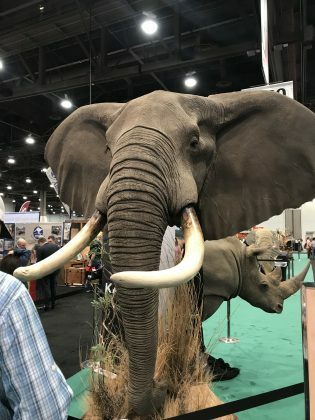 Other moments included walking through the convention floor and into a sensory safari where you could touch a variety of species that had been killed for a trophy and then stuffed and put on display; many which are threatened or vulnerable species and others that should be considered critically endangered. Looking at a stuffed polar bear knowing that we may be the last generation to see these beautiful animals in the wild due to polar ice caps melting as a result of global warming and big game hunting, was another shocking moment, to say the least. 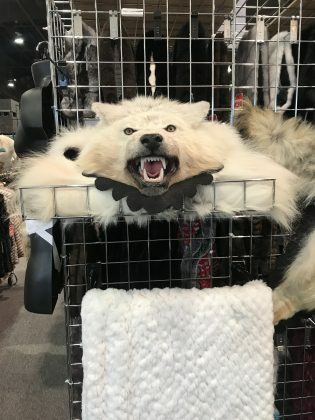 As we checked out many booths, we came across a few that were selling a variety of items that were made from animals including clothes and accessories. 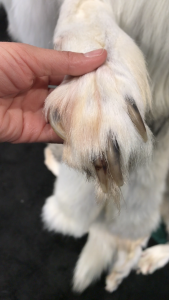 Many species of animal fur was represented, and horrifically, some still had their paws attached, like a Wolf throw. There were sadly many Lynx jackets as well. 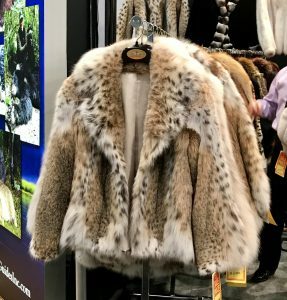 We inquired about how and where the products were sourced and were told that some came from China, and others were from the U.S., They did not know how the animals were killed. This week we were shocked to learn that an announcement was made that Safari Club International Now Opposes The Hunting Of Lions Bred In Captivity. 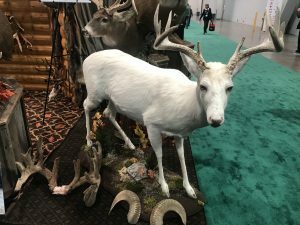 The policy took effect on February 4th, 2018, and applies to hunts taking place after the adoption of this policy and to any Record Book entry related to such hunts. 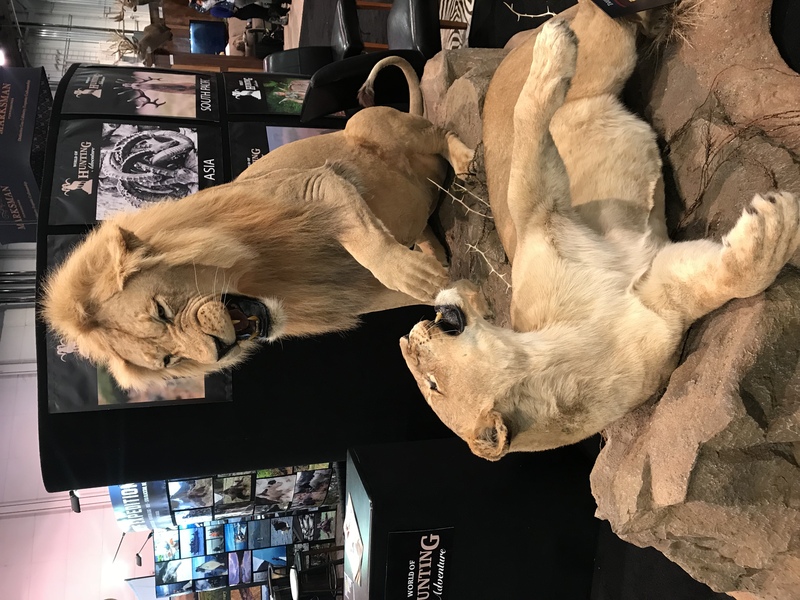 Saf ari Club International will not accept advertising from any operator for any such hunts, nor will it allow operators to sell hunts for lions bred in captivity at the Safari Club International Annual Hunters Convention. We believe that this announcement may have come from the public outcry following the shockumentary “Trophy” that recently premiered on CNN & BBC, in which the so-called “sport” of “canned” trophy hunting at big-game hunting reserves in African countries are auctioned off to trophy hunters from around the world to select their species of choice and even the exact animal they would like to kill. 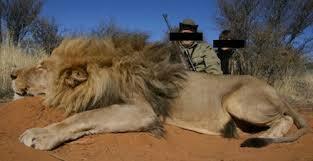 The sad reality of trophy hunting. 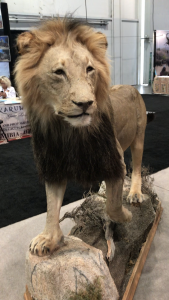 What we took away from witnessing the lack of compassion at the SCI convention was that there is still a tremendous amount of work to be done to create laws to protect our most threatened species in every country and continent around the world. Most of us are born with compassion but it has to be nurtured. We can help foster compassion by educating others and spread knowledge of alternative ways to think about our earth’s precious species. If we all work together in a collective effort, we have the ability to change the hearts and minds of trophy hunters. But, it has to be done with compassion first.